In 1977, after the Civil Rights movement had ground to a desperate halt and Sidney Poitier’s squeaky clean portrayals of integration had given way to the rapid boom and bust of Black Exploitation, a graduation film from UCLA film school marked the emergence of one of America’s most critically celebrated, yet seldom screened, filmmakers. After over thirty years, Charles Burnett’s Killer of Sheep is being shown in the UK as part of a major retrospective of his work, with a DVD release of the film planned for later in the year. So just what is it that has finally made people sit up and recognise the film for the astonishing hidden treasure it always was? Killer of Sheep screens at the BFI Southbank on 5 October 2013. Charles Burnett regrets that he is unable to leave his current production in Algiers to attend this event, but there will be a Q&A via Skype after the screening. For more information visit the BFI website. Set in a working-class district of South Central LA, familiar to many contemporary cinema audiences, the film revolves around the life of an insomniac, slaughterhouse worker Stan, his family, assorted friends and acquaintances and the rigours of their everyday lives. Yet, despite its location within an urban environment that has now become all too recognisable as the battle-torn backdrop in a plethora of ‘Hood’ movies, Burnett presents the viewer with a subtler and infinitely more complex vision of the American underbelly, suffused with humour, anxiety, compassion and despair, often present in the same instant. It’s not that Burnett attempts to circumvent harsh issues such as drugs or violence – the de rigueur urban theme; he just doesn’t revel in it and neither does he glorify it. It’s often there, lurking around the corner or casting a shadow, but instead of being mired in its immediate, physical manifestation, Killer of Sheep carries the psychological weight of a broader systemic violence, all too frequently ignored, though usually the catalyst for the kind of social eruption that has blighted minority communities across Los Angeles throughout its history – the Zoot Suit riots of 1942, the Watts riots of 1965 and the LA riots of 1992 being the most notorious examples of the city’s simmering ethnic tensions reaching boiling point. 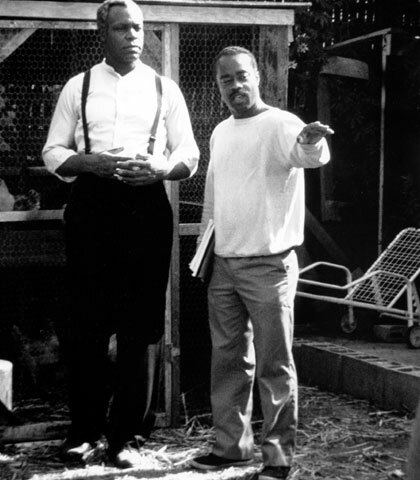 Read Joel Karamath’s interview with Charles Burnett here. Burnett, who grew up in the Watts district of LA, also worked as cinematographer on the movie, shooting the film over an indeterminate number of weekends, with a largely ad hoc crew. Filmed with the eye of an insider and in a manner that manages to chronicle without romanticising, this is not a rose-tinted vision of race, class or the inner city; instead, operating within an organic plot structure, Burnett’s camera and script both manage to capture the full diversity of a very localised community by exploring the nuances of (Stan’s) life in a manner usually overlooked by the broad brush strokes commonly used in Hollywood productions. In one scene, Stan questions the very notion that he might even be considered poor, by countering that he actually gives stuff away to charity, highlighting the relative aspects of issues such as wealth and class within such a social microcosm. Killer of Sheep also brings into question the traditional depiction of patriarchy and machismo seen in many interpretations of minority cultures, such as Black Exploitation cinema. Stan’s twilight existence is exemplified by a reluctance to reciprocate his wife’s advances throughout the film, which acts as a precursor to a number of scenes in which women take over male positions of power. His near-somnambulant state is like an American update of the old Chinese proverb; he’s a man that has a nightmare about working in a slaughterhouse, only to wake and discover that he may be a slaughterhouse worker having a nightmare about being a (black) man in contemporary America; burdened, in an era of change, by a history that has frozen him in time. One of the film’s early scenes, showing a group of young boys play-fighting, is reminiscent of Burnett’s own childhood memories, of the urban environment he grew up in, but also reveals one of his major cinematic influences. Not happy with the traditional portrayals of the inner cities and its inhabitants offered by the mainstream, Burnett instead turned to Italian neo-realism, for its aesthetic as well as sociological qualities. The barren landscape on which the boys pitch their battle resembles that of many post-war Italian cities, as seen through the eyes of neo-realist directors such as Vittorio De Sica, allowing Burnett to comment upon the stagnant social conditions in many parts of LA, over a decade after the ravages of the Watts riots. The use of other common neo-realist devices – monochrome photography, improvised acting, child and non-professional actors – feeds into the organic plot structure and generates a greater sense of realism than would a traditional linear process. Recently, Burnett directed an episode of the US documentary series The Blues, underlying his deep interest in the cultural significance music has played in shaping African-American identity, not just as a positive form of artistic expression but also as a warts-and-all cultural and spiritual outpouring. The soundtrack to Killer of Sheep, a vibrant mixture of jazz, blues and soul, forms the almost melancholic cadence which life is played out against. A one-time trumpet player, Burnett drew from his own very personal musical recollections to evoke what he describes as the way in which music ‘becomes part of your subconscious’. Despite Burnett personally playing down any overt metaphorical credence to the Sheep in the film’s title, it’s almost impossible, in retrospect, not to juxtapose the proverbial lambs going to their slaughter with the plight of a disenfranchised minority. The mid-70s formed a remarkable conduit for African-Americans, between the euphoria and promise of the Civil Rights era in the 60s and the despair and anger so inherent in the music and films of the hip-hop generation of the 80s, a period in which the suicide rate of African-Americans rocketed from being the lowest, in 1970, of any ethnic group in the USA, to being the highest by the end of the decade (see Cornell West’s Nihilism in Black America for more on this subject), a nihilism that seems to form the basis of so many contemporary films, but which Burnett, almost single-handedly, has constantly sought to counter in his body of work. Killer of Sheep reminds modern audiences, raised on the sudden impact of ‘shoot ’m up’ action movies, that you can say just as much with a whisper as you can with a scream, without the risk of deafening your listener to future comments. This article was first published in the summer 08 print issue of Electric Sheep Magazine. As the 1970s, a decade of immense upheaval in Britain, came to a close, three films exploring and, to a certain degree, defining the various and often contradictory aspects of what it meant (means) to be black and British astutely chronicled the changing face of youth politics and incipient popular culture, the impact of which has only truly been acknowledged through more recent and closer examination. Horace Ové’s Pressure (1975, UK), the first feature film made by a black director in Britain, Menelik Shabazz’s Burning an Illusion (1981, UK) and most poignantly Franco Rosso’s Babylon (1980, UK/Italy) all contribute a telling insight into the changing face of Britain from a minority perspective, at a time when the traditional notions of class and politics were being fiercely debated and challenged. The films marked a paradigm shift in what it meant to be British, in the broadest sense, and how that affected notions of race and class identity. The films, in retrospect, would form a trilogy; highlighting some of the smouldering issues that were to become the major battlegrounds of the early Thatcher years. With racial tensions finally erupting across Britain’s inner cities, in places like Toxteth, St Paul’s, Hansworth and the Notting Hill Carnival, Margaret Thatcher’s axiom ‘there’s no such thing as society’ seemed to ring particularly true for a whole generation of black British youth. It is this brooding undercurrent that informs Rosso’s film and makes it stand above so many of the overly romantic, retrospective portrayals of British youth culture such as Frank Rodman’s Quadrophenia (1979, UK), Isaac Julien’s Young Soul Rebels (1991, UK) or Nick Love’s The Football Factory (2004, UK). The generational and cultural conflict between the optimistic, often middle-class, immigrant sensibilities of the Windrush generation, and the predominantly pessimistic, working-class notion of black Britishness, is steadily unfolded in Pressure and Burning an Illusion, yet it is Babylon, recounting the travels and travails of a small South London sound system, Ital Lion, and their struggle to make a name for themselves, that crucially identifies the formation of a unique and stridently militant identity amongst the first generation to fully have come of age under the banner of black Britain. 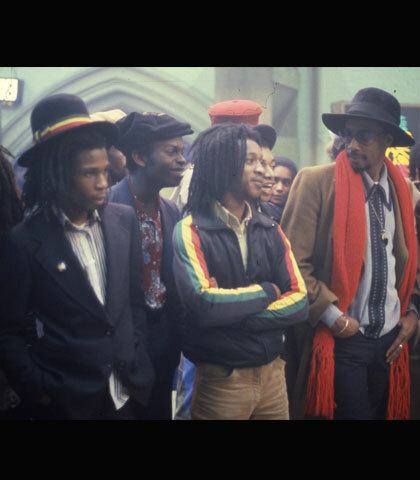 Central to the success of the movie is its intelligent and realistic depiction of reggae music and the cultural milieu provided by the sound system as the social building block of a new, disenfranchised generation of black youth caught in the no man’s land of a Diaspora culture, born in a country that many felt they could not claim as their own, yet separated from the ancestral homelands of their parents. The film is also one of the first to not only identify but, more importantly, fully embrace vernacular language, music and fashion. This was the springboard from which black British popular culture would become the driving force behind British youth culture as a whole, before the brand-laden and all-pervasive aspects of American hip-hop (itself beholden to the influence of the reggae sound system) became a global, commercial omnipresence. Unlike a plethora of revisionist depictions of youth culture, Babylon captures the zeitgeist of the era, avoiding the grip of nostalgia, instead providing a harrowing yet ultimately uplifting account of a cultural and spiritual triumph over the adversities of poverty and overt racism (institutional and physical) that were still so ingrained in Thatcher’s England. Without resorting to the cliché of a Hollywood happy ending, with everyone learning the error of their ways, the film’s climax relies upon its lead characters looking inward to find an inner strength from which to build an identity. Uncut is a film forum that runs monthly at the ICA (London). For more details visit the ICA website. The ICA’s monthly Uncut Film Forum is an all too rare opportunity for members of the public to see short films by up-and-coming directors and film school graduates, with the chance to get the inside scoop from the filmmakers themselves. Programmed and presented by Joel Karamath, the Forum was founded fifteen years ago in response to the demise of repertory cinema: ‘A lot of the art-house cinemas were closing down when I was at college, so there were fewer places to see films by new directors. I wanted somewhere to show films and have them discussed, so when the ICA offered me the opportunity to set up a film forum, I ran round the student shows to pick the best films and the monthly event grew from that’. June’s Uncut featured eleven incredibly eclectic short films covering a broad range of subject matter and styles, from challenging documentaries, to touching dramas, fantasy with live action mixed with animation to more abstract takes on filmmaking. ‘There’s no point programming two hours of avant-garde cinema’, says Karamath, ‘you want the audience to be drawn in. So by showing a variety of films, including a couple of more abstract pieces, you really hold their attention’. Many of the filmmakers tackled tough subject matter, providing balanced arguments. Hamish Mek Chohan’s Boots and Braces – The Night Southall Burned is the story of the clash between skinheads and Indians in Southall in 1981, with interviews from both sides providing a compelling investigation into a forgotten issue. 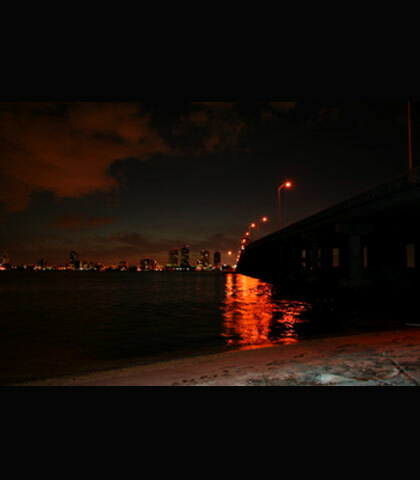 In Monsters of Miami, Nick Ahlmark talks to paedophiles forced to live under a bridge with no running water or electricity, due to a law that means they can’t be less than 2,500 ft from anywhere children gather. Their story is sympathetically told, and the viewer feels sorry for these men while simultaneously horrified by what they’ve done. Death was a dominant theme in June’s event, as demonstrated in the poignantly funny drama Roaring Heaven, which is set in an old people’s home and tackles the way British people are able to handle and talk about death. In stark contrast to the film’s sad subject matter, the colours are Technicolor bright, representing the heightening of the senses due to grief. Death receives a more abstract treatment in Niall Thompson’s Six Million Ways To Die where an actor is filmed straight to camera, reciting stream-of-consciousness monologue in one take, listing every conceivable way to die. The monologue features everything from ‘heart attack’ and ‘stabbing’ to ‘ill-prepared fugu‘ and ‘eaten alive by a whale’. To put together the programme of the Film Forum, Karamath (a college lecturer) searches for the most outstanding work from an international assortment of student filmmakers. Yet, he also looks beyond the confines of film school: ‘I’m most interested in the first film out of college, where the filmmaker is no longer restricted by college but they haven’t yet been disillusioned by the industry’. If the standard of shorts demonstrated is as high every month then the future is certainly bright for the British Film Industry. Uncut resumes in the autumn after a short summer break. The Charles Burnett retrospective runs from 1-19 July at the BFI Southbank, London. More details on the BFI website. For over thirty years Charles Burnett has been at the forefront of American independent cinema, yet most of his films remain hidden cinematic gems, all too rarely screened. It may be that Burnett’s subtle chronicles of African-American everyday lives lack the sensationalism of many of his contemporaries. Or that America was just slow to acknowledge the achievements of black independent cinema. Whatever the reason, the tide has now turned: the re-release of Burnett’s acclaimed Killer of Sheep at last year’s London Film Festival and this year’s Berlinale, and the BFI retrospective throughout July mean that the director is finally, if belatedly, getting the recognition he deserves. Joel Karamath: The Library of Congress has finally declared Killer of Sheep one of the most important contemporary American films. What’s it like to receive such an accolade after thirty years? 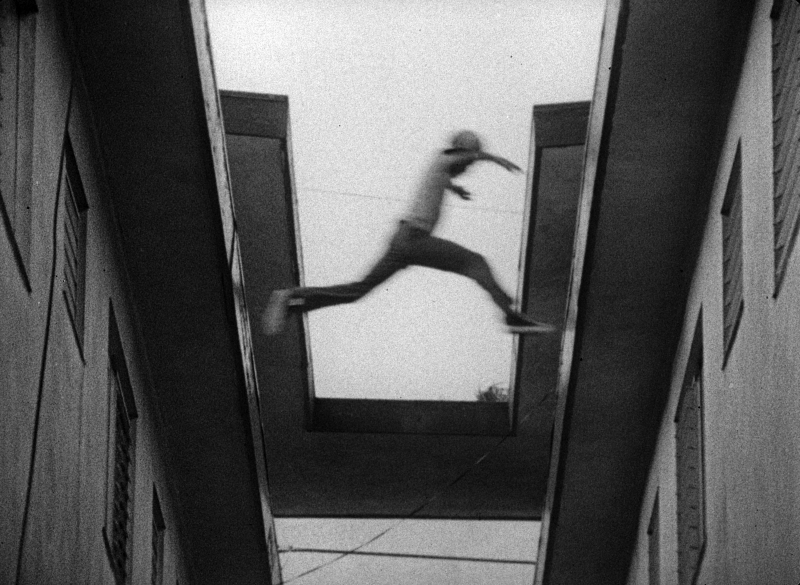 Charles Burnett: Well, it’s strange, looking back on it after all these years, as the film was never meant to be shown theatrically, because it was my student thesis film. JK: Just as you started studying at UCLA there was a marked shift in the screen portrayal of African-Americans in mainstream productions, moving away from the optimistic Civil Rights-era movies to the more nihilistic vision of many Black Exploitation movies. How did that affect you? CB: The reason we got into filmmaking was to try and affect the negative images Hollywood had been producing about people of colour. And then the Black Exploitation films came along while we were in school, and that became just another element that we were fighting against. JK: I once read that one of the reasons you went to film school was to dodge the draft and not go to Vietnam. Is that true? CB: Yes, I had irritated one of the people at the draft board because I was late in registering and they read the riot act at me, so I knew I was going at that point. But then I realised that if I took a full programme of courses I could get a student deferment, so I started taking a lot of classes and that’s how I valued education. Read the rest of the interview in our summer print issue, which is a jazz and cinema special to coincide with the re-release of Burnett’s Killer of Sheep. To celebrate the belated recognition of one of American independent cinema’s greats, we look at the influence of jazz on film in the US with articles on Shirley Clarke, John Cassavetes, Jim Jarmusch and Beat cinema among others. For more information on where to buy the magazine and how to subscribe, please contact amanda [at] wallflowerpress.co.uk.